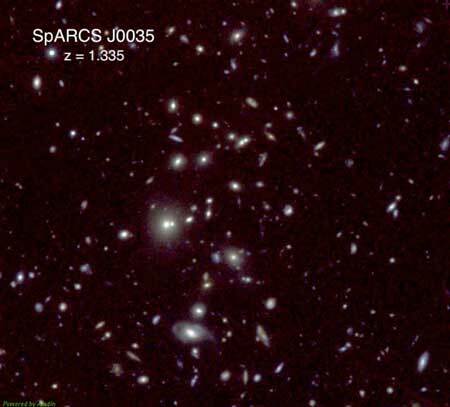 (Nanowerk News) Galaxy clusters are rare regions of the universe consisting of hundreds of galaxies containing trillions of stars, as well as hot gas and dark matter. A new international study (Astrophysical Journal, "The Evolution of Environmental Quenching Timescales to z ~ 1.6: Evidence for Dynamically Driven Quenching of the Cluster Galaxy Population") led by astronomer Ryan Foltz, a former graduate student at the University of California, Riverside, has made the best measurement yet of the quenching timescale, measuring how it varies across 70 percent of the history of the universe. The study has also revealed the process likely responsible for shutting down star formation in clusters.